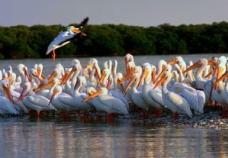 The Punta Gorda/Englewood Beach Visitor & Convention Bureau will screen the debut of Ep. 2 of Adventure and Wildlife Hosted by the Shark Brothers. Free debut screening of Episode 2 of Adventure and Wildlife - Hosted by the Shark Brothers. The second episode of the original online series highlights standup paddle boarding, Stump Pass Beach State Park and Lemon Bay High School’s Marine Science program. A question and answer period about Lemon Bay High School’s marine science program will follow the screening. This event is free to attend and open to the public. All that we ask is that those interested in attending RSVP since seating is limited. This series promotes and encourages the preservation and protection of Charlotte County’s diverse natural product. Lorah Steiner, Director of Tourism for the Punta Gorda/Englewood Beach Visitor & Convention Bureau. Sean and Brooks Paxton, aka the Shark Brothers. As multimedia content producers and presenters, Sean and Brooks Paxton, also known as the Shark Brothers, draw on over a half-century of combined entertainment and outdoor industry experience to deliver on the visionary goals of their clients and collaborators. Content formats they produce include commercial and cause marketing spots, full-length documentaries and series, live broadcasts from underwater marine and remote terrestrial locations, and large-scale public events. 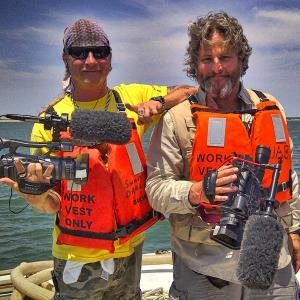 Their work, on both sides of the camera, has been seen on the Discovery Channel, NatGeo Wild, NBC, PBS, the Weather Channel and via numerous online distribution channels. The brothers enjoy sharing their experience and knowledge through community outreach while backing causes they consider close to home including sustainable use and enjoyment of natural resources, education, youth engagement with nature, and the support of our active duty military, veterans and first responders. Learn more about Sean and Brooks Paxton at TheSharkBrothers.com. Located halfway between Tampa and Naples on the Southwest Florida Gulf Coast, Punta Gorda /Englewood Beach is a charming collection of nine coastal communities surrounding the state’s second largest harbor. 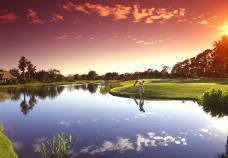 Florida’s premier year-round eco-tourism destination, the area offers a pristine unspoiled beauty. 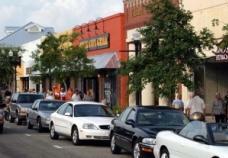 In 2014, Port Charlotte was named the top “U.S. Best Value Destination” by Trivago (the world’s largest online hotel search site), and the Charlotte Sports Park, spring training home of the Tampa Bay Rays, was voted “Best Spring Training Facility” by readers of USA TODAY. 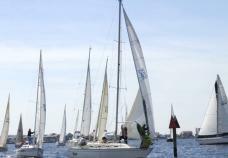 A haven for outdoor enthusiasts, Punta Gorda / Englewood Beach has been named one of SAIL magazine’s “10 Greatest Places to Sail in the United States,” ranked by Golf Digest as “Third Best Place to Live and Play Golf in America,” and rated by MONEY magazine as one of the “Best Places to Live in the South.” Englewood was named second of the Top Ten emerging travel destinations in the U.S. by TripAdvisor.com. The area is served by five airports: The Punta Gorda Airport (PDG) with private and charter air service, Sarasota Bradenton International Airport (SRQ), Southwest Florida International Airport, Ft. Myers, (RSW), St. Petersburg-Clearwater International Airport (PIE) and Tampa International Airport (TPA). 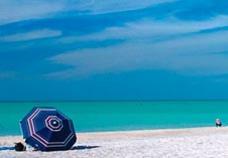 For more information on visiting Punta Gorda / Englewood Beach visit http://PureFlorida.com or call1-800-652-6090. Brooks Paxton II and Sean Paxton, aka the Shark Brothers, will debut Episode 2 of Adventure and Wildlife – Hosted by the Shark Brothers on Thursday, April 20, 2017 at 4 p.m. at Lemon Bay High School. Episode 2 of Adventure and Wildlife – Hosted by the Shark Brothers includes standup paddle boarding with Paige Bakhaus of Hooked on SUP. Episode 2 debuts Thursday, April 20, 2017 at 4 p.m. at Lemon Bay High School.